Search for all "CA 19-9 ELISA Kit"
The CA 19-9 ELISA Kit is a solid phase enzyme-linked immunosorbent assay (ELISA) based on the sandwich principle. 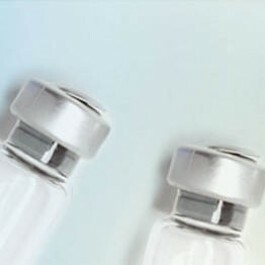 The microtiter wells are coated with a mouse monoclonal antibody directed towards a unique antigenic site of the CA 19-9 molecule. An aliquot of specimen sample containing endogenous CA 19-9 is incubated in the coated well with assay buffer. After a washing step a second incubation follows with enzyme conjugate, which is an anti-CA 19-9 antibody conjugated with horseradish peroxidase. After incubation the unbound conjugate is washed off. The amount of bound peroxidase is proportional to the concentration of CA 19-9 in the sample. Having added the substrate solution, the intensity of colour developed is proportional to the concentration of CA 19-9 in the specimen sample.